There are two chocolate companies that I am going to describe in detail. There’s Askinsosie and then there’s DOVE. Why am I comparing these two chocolate companies? For one, I work at a coffeeshop that sells Askinosie chocolate, and we use it in our ganache to make things like hot chocolates and mochas. Secondly, I chose DOVE because my grandmother, who is now passed, used to always have DOVE Chocolate in her apartment. As a young child I liked to snag a piece whenever I went to visit. I grew up certain that Dove Chocolate was the best! When my grandmother first began purchasing DOVE Chocolate, she thought it was a luxurious chocolate brand. Now, there are more sophisticated chocolate brands like Askinosie. Within these chocolate brands are labels as well. These labels, such as Direct Trade and Rainforest Alliance, exist to intrigue customers, help producers market their product, and honor farmers, or so that is what these labels claim. Within this blog post I will delve deep into what these labels really mean and address the social, economic, and environmental implications of these labels. I will look at the advertising that each company uses, and I will compare the two brands and explain which chocolate brand is more ethical than the other and why. Askinosie Chocolate was founded by Shawn Askinosie in Springfield, Missouri (“Our Story”). Before he began his chocolate-making career he had another career in law. He was a criminal defense attorney and he practiced law for 20 years (“Our Story”). At the time, he enjoyed his work and was good at it; however, the work he put into his job was causing him undue stress that he worried would eventually kill him (“Our Story”). So, in an attempt to “save his life,” he began looking into different hobbies he could enjoy (“Our Story”). Five years into his introspective journey, it dawned on him to become a chocolate maker (“Our Story”). As soon as this revelation hit his mind, he quickly began using his industrious work ethic to research information about chocolate: How to make chocolate and where it originates historically, culturally, and botanically (“Our Story”). Shawn Askinosie wanted to create a great product that tantalized the tastebuds of his consumers (“Our Story”). After his initial research, he realized that making chocolate from bean to bar, meaning making chocolate from the bean and controlling each stage of production to form chocolate, would be tough work (“Our Story”). At the time back in the early 2000’s, there weren’t many bean-to-bar or craft chocolate companies (“Our Story”). By the time he started the company in 2005, he was a pioneer in the world of Direct Trade chocolate as one of the first chocolate makers to buy beans directly from the source: farmers (“Our Story”). Pictured here are several of Askinosie’s chocolate bars. The string on the top of each chocolate bar comes from the string used in the bags carrying the cacao beans (Forbes). DOVE Chocolate was founded by Greek-American Leo Stefanos in 1939 (DOVE). Originally, DOVE Chocolate was called “Dove Candies & Ice Cream” and resided in Chicago, Illinois (“Dove (Chocolate)”). By the 1950’s, 1956 to be more precise, Leo Stefanos created the DOVE ice cream bar (DOVE). By 1960, DOVE Chocolate reached the UK and there it was rebranded as the Galaxy brand (DOVE). Later in 1986, Mars Inc. bought out the DOVE and Galaxy companies (DOVE). Since being acquired by Mars Inc., DOVE Chocolate has made amendments in regard to their ethics and sustainability. DOVE Chocolate now works with Rainforest Alliance to certify 100% of its dark chocolate. In addition, through Mars’ Sustainable Cocoa Initiative, the chocolate making producers claim to work more closely with the farmers growing the cacao beans (DOVE). Here’s a picture of DOVE Chocolate’s dark chocolate bar. All of DOVE’s dark chocolate is Rainforest Alliance Certified (DOVE). Now that we know about the companies’ origins, let us discuss the meaning behind some of the terms used such as, “Direct Trade” and “Rainforest Alliance”. What is Direct Trade and Fair Trade? Fair Trade: Fair Trade is an international organization that has a US branch that certifies or ranks products, such as chocolate, to be categorized or classified as more ethical and sustainable than other products that aren’t certified (Martin). Fair trade prides itself on its principles and the criteria it uses, which include: (1) maintaining long-term relationships with farmers; (2) paying fair prices and wages; (3) lacking child or exploited labor; (4) lacking workplace discrimination; (5) safe working conditions; (6) environmental sustainability; (7) using resources synergistically to help the community at large; (8) and transparency (Martin). Fair Trade Downsides: Unfortunately, Fair Trade doesn’t come out to be exactly as it advertises. For one, getting certified by Fair Trade is quite expensive (Martin). For the smallest of farms, the minimum certification price may range from 1,430 euros to 3,470 euros (Sylla). This is equivalent to approximately $1,730 to $4,200. Furthermore, not much money actually gets into the hands of local farmers (Martin). The producing company is in charge of purchasing the certification and money goes through the company before it gets to the farmers. Fair trade has little to no evidence supporting its efficacy, and there are no incentives for farmers to produce a quality product (Martin). These are some of the pitfalls to Fair Trade, however, no model is perfect as we will see shortly. Direct Trade: Direct Trade is different from Fair Trade in that it isn’t a certification organization (“Fair Trade vs. Direct Trade”). Rather, it is a description that explains the relationships between farmers and producers (“Fair Trade vs. Direct Trade”). The Direct Trade model has a different mission statement to that of Fair Trade. Direct Trade addresses several points that are lacking within the Fair Trade model such as the lack of incentive for farmers to produce a quality product, the lack of flexibility within the Fair Trade model of certification, and the high enrollment fees (Martin). Fair Trade has a very particular model, and if one farm doesn’t fit within the model, then they can’t be certified. This is different for Direct Trade. Direct Trade attends to these differences by promoting premium prices for exceptional crops, establishing more direct communication and therefore more flexibility within the relationships between farmers and producers, and by eliminating a costly enrollment certification processes (Martin). Direct Trade Downsides: Simply put, following the Direct Trade model is challenging. It is difficult to succeed at following this model due to the extra care and communication needed to make the model work (Martin). Furthermore, relationships between farmers and producers can be more fragile than those in the Fair Trade model, and there are social benefits that go along with the Fair Trade model that don’t exist for the Direct Trade model in its definition (Martin). Rainforest Alliance was founded in 1987 with a mission statement that includes the protection and preservation of ecosystems and biodiversity (Sylla). Rainforest Alliance endorses sustainable modes of production as well as improved working and living conditions for farmers (Sylla and “Factsheet Rainforest Alliance”). Critics of Rainforest Alliance argue that this certification method fails to provide adequate financial assistance to the farmers, fails to provide an adequate minimal price, and doles out certification with little true consideration (Sylla). UTZ certification has a goal to, “create an efficient sustainability program with effective certification and traceability tools for socially and environmentally responsible cocoa production that meets the needs of both producers and markets” (“Cocoa”). This essentially means that UTZ aims to create a sustainable means of production for products such as cocoa. UTZ certified products are in 108 countries, and five of the top ten chocolate manufacturers including Nestlé, Ferrero, Hershey, and Mars have committed to use 100% certified cacao (“Cocoa”). While they have made this commitment, that doesn’t mean that all of the chocolate produced by these companies is currently all certified, as is the case for Mars Inc. (“Cocoa: Caring for the Future of Cocoa”). Organically certified products are products that are free from use of pesticides, synthetic fertilizers, sewage sludge, genetically modified organisms, or ionizing radiation (Martin). Principles of organic farming include, “concerns for safe food production, for the environment, for animal welfare and for issues of social justice (Browne, A W, et al)”. Before a farm can be granted certification as organic, a government-approved certifier must inspect the farm to see where the crops are being grown to ensure the rules are being followed to meet organic standards (Martin). When Shawn Askinosie talks about chocolate in this video, he describes how he works within the Direct Trade model (Forbes). He discusses the importance of having a relationship with the farmers and working in their communities (Forbes). He talks about becoming friends with farmers in Ecuador, Tanzania, and the Philippines (the three places from which he sources his chocolate (Forbes)). Shawn Askinosie furthermore discusses his open-book management style where he shares his numbers through his transparency report that he keeps available to everyone on his company website, askinsosie.comhttps://www.askinosie.com/learn/transparency-report.html (Forbes). These numbers include the yearly bean cost per metric ton, the total paid to farmers per metric ton, and profit share per metric ton (“Transparency Report”). This open book management style shows his internal transparency with sales expenses and net revenues while also sharing the profit outcome (“Transparency Report”). By sharing the numbers with his employees, suppliers, customers, and the general public, he is adding a thick layer of transparency to the cake that is his company. Most companies, like DOVE within Mars Inc., do not share these numbers with employees, suppliers, consumers, and the general public, as they likely worry that consumers will be astonished and turned off by their large profit margins and small prices paid to farmers (“Cocoa: Caring for the Future of Cocoa”). This contrast in value of transparency really sets Askinosie apart from DOVE Chocolate and tends to show that Shawn Askinosie really doesn’t aspire to make his company bigger as much as he aspires to make his product better (Forbes). Shawn Askinosie, the founder of Askinosie Chocolate is pictured here working with Tenende, Tanzanian farmers (Editor)”. Shawn Askinosie makes it known to his consumers that he treats the farmers ethically and doesn’t use pesticides in his chocolate farming (Forbes). With that being said, his chocolate isn’t certified organic. The farms may be using other chemicals such as fungicides, for example. It’s also feasible that he simply doesn’t want to pay the fee to be certified organic. The chocolate Shawn Askinosie buys for his company is shade grown and bought through the Direct Trade model (Forbes). In contrast, DOVE does not buy its chocolate through the Direct Trade model. Instead, it buys its chocolate and certifies it through the Rainforest Alliance organization (DOVE). As learned earlier, Rainforest Alliance certification has the intention of branding environmentally friendly products, so by having this certification for its dark chocolate, DOVE is declaring that it has more ethically sourced chocolate than most brands of chocolate that do not have this certification. However, we also learned earlier that the ability for a company to be granted certification through the Rainforest Alliance can be superficial and hasty (Martin). Furthermore, it is known that DOVE Chocolate only has Rainforest Certification for its dark chocolate, not all of its chocolate. DOVE Chocolate has made efforts to be more ethical through its collaboration with CARE, a global poverty-fighting organization (“DOVE® Chocolate & CARE® Continue Work To Empower Female Farmers In Cote D’Ivoire”). By May of 2017, almost 2,000 women and men in the cocoa farming industry in Cote d’Ivoire joined the CARE Village Savings and Loan Associations, or the VSLA (“DOVE® Chocolate & CARE® Continue Work To Empower Female Farmers In Cote D’Ivoire”). CARE and DOVE partnered together in 1991 to begin the VSLA in Niger with the intentions of establishing a place where people can save their money and be granted small loans (“DOVE® Chocolate & CARE® Continue Work To Empower Female Farmers In Cote D’Ivoire”). This was all in an attempt to broaden opportunities for business development within the farming communities (“DOVE® Chocolate & CARE® Continue Work To Empower Female Farmers In Cote D’Ivoire”). DOVE and CARE have made efforts to give women more equal opportunities in the business realm through the VSLA (“DOVE® Chocolate & CARE® Continue Work To Empower Female Farmers In Cote D’Ivoire”). By 2017, there were 70 VSLA groups established in Cote d’Ivoire (“DOVE® Chocolate & CARE® Continue Work To Empower Female Farmers In Cote D’Ivoire”). Furthermore, DOVE Chocolate, as clarified on Mars Inc. website, has set a goal to have 100% of its chocolate certified by 2020 (“Cocoa: Caring for the Future of Cocoa”). These certifications include Rainforest Alliance, UTZ Certified, and Fair Trade (“Cocoa: Caring for the Future of Cocoa”). While this aspiration is promising for the Mars Inc. company at large and DOVE Chocolate specifically, it is an aspiration that has yet to be achieved (“Cocoa: Caring for the Future of Cocoa”). It seems likely that some large chocolate corporations will create their own certification organizations to certify their chocolate (Martin). Given the large corporation that is Mars Inc., it is very feasible that Mars Inc. will implement this new standard. Only time will tell whether or not this comes to fruition. It is evident that Askinosie Chocolate does a better job at being transparent in its processes of buying and producing chocolate when compared to the practices of DOVE Chocolate. Askinosie has a website page, https://www.askinosie.com/learn/direct-trade.html, about its Direct Trade model and how they put this into action (“Direct Trade”). While the Direct Trade model of Askinosie Chocolate has its limitations such as its difficulty in execution, the Direct Trade model is more comprehensive than Rainforest Alliance in regards to their ethics. Both companies make efforts to give farmers equal opportunities to some capacity – whether that is through attention to fair wages or access to loans. DOVE Chocolate, for example, was the first to start Cocoa Development Centers in Asia and Africa where they trained farmers to help them increase their wages and level of sustainability (DOVE). However, given the nature of a Direct Trade alliance between a producer and farmer, in the end, Askinosie Chocolate comes out to be more ethical than DOVE Chocolate. The next question to ask is: Which chocolate would a consumer be more inclined to purchase when considering the history, ethics, and expenses, among other things, of the chocolate company? Since purchase price and taste motivate consumers possibly more than ethical production, perhaps this is something to chew on. Browne, A W, et al. “Organic Production and Ethical Trade: Definition, Practice and Links.” Science Direct, Elsevier, Feb. 2000, http://www.sciencedirect.com/science/article/pii/S0306919299000755. Forbes, director. Askinosie Chocolate: Meet The Criminal Defense Lawyer-Turned-Chocolatier | Forbes. Youtube, Forbes, 10 May 2017, www.youtube.com/watch?v=2kNfUa5VUKY. Editor. “Bean-To-Bar Chocolate Makers Dare To Bare How It’s Done.” KCUR, 14 Feb. 2013, kcur.org/post/bean-bar-chocolate-makers-dare-bare-how-its-done#stream/0. “Cocoa: Caring for the Future of Cocoa.” Mars, Incorporated, www.mars.com/global/sustainable-in-a-generation/our-approach-to-sustainability/raw-materials/cocoa. “Direct Trade.” Askinosie Chocolate, www.askinosie.com/learn/direct-trade.html. DOVE. “Choose Pleasure.” DOVE® Chocolate, dovechocolate.com/tagged/dove. “Dove (Chocolate).” Wikipedia, Wikimedia Foundation, 26 Apr. 2018, en.wikipedia.org/wiki/Dove_(chocolate). “DOVE® Chocolate & CARE® Continue Work To Empower Female Farmers In Cote D’Ivoire.” PR Newswire, Mars Chocolate North America, 22 May 2017, www.prnewswire.com/news-releases/dove-chocolate–care-continue-work-to-empower-female-farmers-in-cote- divoire-300461025.html. “Fair Trade vs. Direct Trade.” Goodnow Farms Chocolate, 22 Feb. 2017, goodnowfarms.com/blog/fair-trade-vs-direct-trade/. Factsheet Rainforest Alliance. Forum, Nov. 2017, http://www.forumpalmoel.org/imglib/downloads/Factsheet_Rainforest Alliance_en.pdf. Martin, Carla D. “Alternative Trade and Virtuous Localization/Globalization.” Chocolate, Culture, and the Politics of Food. Chocolate, Culture, and the Politics of Food, 4 Apr. 2018, Cambridge, Massachusetts. “Our Story.” Askinosie Chocolate, www.askinosie.com/learn/our-story.html. “Transparency Report.” Askinosie Chocolate, 1 Nov. 2017, www.askinosie.com/learn/ transparency-report.html. Athletics have always been a steady constant in my life. Since a young age, my parents instilled in me the importance of being active. As a result, I’ve played multiple sports, and since the eighth grade, I’ve been on a track and field team. Alongside this hunger to play sports, was an acute awareness of what I was putting into my body. My dad used to always explain to my brother and I that we needed to drink milk in order to grow tall. My brother and I ultimately started drinking chocolate milk every night. As I grew older I continued to be conscious about my nutrition habits and I continued to find validation that chocolate milk was a great nutritional choice. However, this long-held belief was recently shaken after I took Harvard’s “AAAS: 199X: Chocolate, Culture, and the Politics of Food” course. I realized that what we see and hear about chocolate and sugar from literature, media, and influential people may not always be true. Thus, I’ve decided to do my own research to answer the following question: how can popular perception regarding chocolate milk’s effects on athletic performance and health be put into question by existing research? In order to answer this question, I examine how chocolate milk is advertised and uncover the experiences of three collegiate athletes, including myself, to get an idea of what “popular perception” really is. I then compare this perception of chocolate milk with research that explores the actual health benefits of chocolate milk. I believe the answer to this question that I pose can be very interesting. A confirmation that there is a discrepancy between what we believe and what is actually true would confirm that we cannot always immediately subscribe to some of the beliefs that circulate among the public. 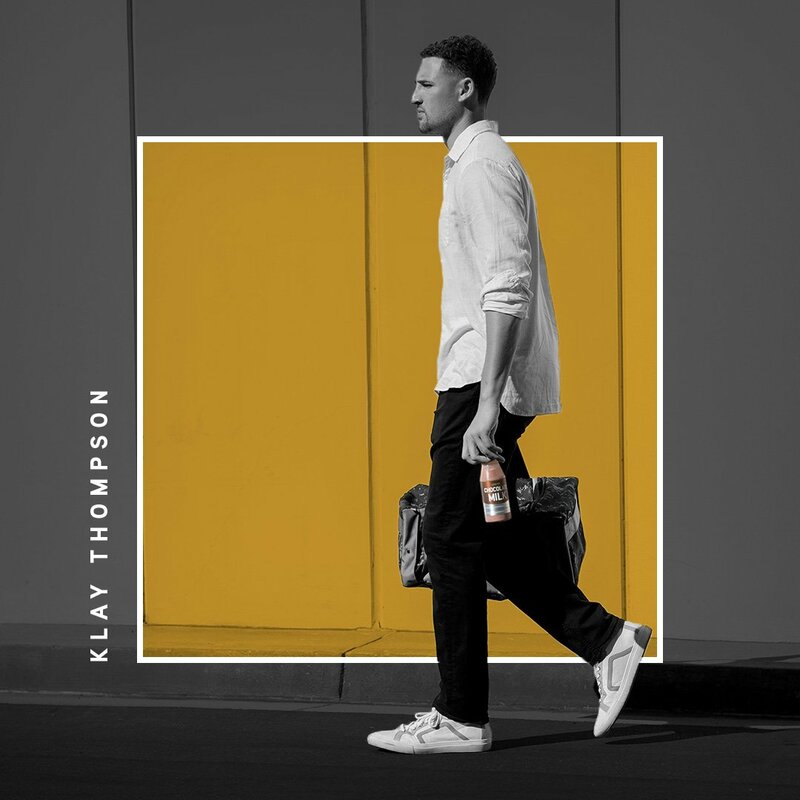 A powerful tactic that advertisers use in the construction of chocolate milk advertisements is using pro athletes to deliver the message. This has the ability to be very influential for a couple reasons. First, anything the athlete in the message says is deemed to be true. This is because these are professional athletes, and people seek to emulate them in any way to reach their high levels of athletic performance. Second, these athletes normally have large fan bases and these fans are ready to subscribe to anything the athlete endorses. As a result, these advertisements can play a particularly influential role on aspiring athletes who are not only fans of these professional athletes but also desperately trying to get better at their sport. More importantly, these types of advertisements can give us a rather accurate picture of what popular perception is regarding chocolate milk. This video provides the first example of professional athlete sponsored advertisement for chocolate milk. The majority of the video displays the athletic prowess of a professional soccer player. This emphasizes the first reason this type of advertising is used: to show the high levels of athletic performance one can gain from chocolate milk. However, what’s particularly interesting about this advertisement is the ending: “That’s what I’m building with chocolate milk. Nutrients to refill, protein to rebuild; backed by science.” The ‘backed by science’ adds yet another layer to popular perception: chocolate milk is good for you and science knows it. Notice in the tweet it mentions “real work and dedication,” subliminally letting us know drinking chocolate milk is synonymous with hard work and becoming a better athlete. Finally, the following advertisement features basketball superstar Chris Bosh. This advertisement stresses how chocolate milk is good for building muscle. Another important feature of this advertisement that was evident in the first advertisement is the use of the word “lowfat.” One could argue that most people view fatty food in a negative light. By specifying “lowfat” the advertisement seeks to appeal to a health-conscious audience. This idea combined with what is being said about chocolate milk establishes an idea that chocolate milk is necessary and healthy, especially for athletes. In summary, all these advertisements show us what the popular perception is for chocolate milk: it’s a healthy beverage and a great choice for those wishing to become better athletes. However, in order to determine if there are more than just advertisements that shape popular perception, I put together three case studies of three collegiate athletes including myself. Case Study: Why Do We Drink Chocolate Milk? The first question I asked myself and the two other collegiate athletes I interviewed was “have you drank chocolate milk and if so, why?” The purpose of this question was to see if the motivation to drink chocolate milk was linked to the advertisements I found or if there were new motivations that I hadn’t uncovered yet. Each person cited “taste” as a fundamental reason as to why they drink chocolate. In fact, the reason why my brother and I opted for chocolate milk instead of plain milk was because of taste. We figured that chocolate milk still had the beneficial milk my father talked about, so there couldn’t be any harm in having it. Similarly, another interviewee said, “I have drunken chocolate milk because I like the taste of it” and the other interviewee explained that “I drank it [chocolate] when I was a kid because I enjoyed the taste.” Thus, there is clearly a taste component to the public perception of chocolate milk. On top of that is of course the health part of chocolate milk. Surprisingly, though, one interviewee questioned the health benefits, “I have also heard it is an ok recovery drink but question its validity because of the high quantities of sugar in chocolate milk.” Personally, I never questioned the health benefits of chocolate milk. I always figured it helped with recovery and helped with building muscle mass. Thus, chocolate milk provided me with a tasty supplement to my athletic training. Nonetheless, what this question ultimately showed is that in a kid or young adult’s mind, the most driving force to keep drinking chocolate milk is the taste. However, what can rationalize this love for chocolate milk in the long-run is a publicly held belief that chocolate milk is good for athletic potential. Case Study: How Does Chocolate Milk Affect Athletic Performance? The second question that was posed to the group was “how do you think chocolate milk affects your athletic performance?” This question was used to get more specificity. Assuming the interviewee didn’t mention anything about athletic performance in their answer to the first question, this question was devised so that I could determine what connection we create between chocolate milk and athletics, if any. As I mentioned earlier, I personally always thought chocolate milk was a great drink for athletes. Part of this reason was because of the belief that milk and thus chocolate milk could make you taller, and secondly because by high school I figured that chocolate milk had lots of protein and was thus perfect for building muscle mass. One interviewee explained, “I have heard that chocolate milk helps facilitate recovery. After a hard, muscle building workout, chocolate milk seems to be a popular option among other athletes, but I don’t drink it. This, in effect, would influence performance, perhaps, helping one perform at a higher level because of better recovery.” What’s interesting here is the statement about what the public perception is towards chocolate which is eerily similar to the advertisements from earlier. Even though the interviewee doesn’t drink chocolate milk in this fashion, it still provides more evidence of an increasingly clear public perception towards chocolate milk. On the other side of the spectrum though, another interviewee remarked “I think chocolate milk has little effect on my athletic performance beyond perhaps negative effects of drinking a lot of it before a competition.” It’s apparent that this interviewee does not subscribe to reported health benefits of drinking chocolate milk. Case Study: Who has Influenced Our Perception of Chocolate Milk? The final question of the interview was “who has influenced your beliefs about chocolate milk?” This question helps me understand who shaped the interviewee’s perception of chocolate and in turn, will give me a better picture of what popular perception consists of. For this question, the only answer that was similar among all three collegiate athletes was “coaches.” For me, a large part of my perception of chocolate milk was shaped in my freshman year of college as I ran track and field at Harvard. Our coach set up chocolate milk containers at the track for us to take after we did our lifting regimen. This confirmed in my eyes that chocolate milk was the perfect drink for recovery and muscle building. Similarly, the other interviewees found a lot of influence about their perception of chocolate milk from coaches. In a similar vein to the professional athletes that endorsed chocolate milk commercials, coaches hold a special voice in this discussion on chocolate milk. Coaches, like professional athletes, are seen as the ultimate voice of guidance in one’s progress towards becoming a better athlete. Whatever coaches believe, are as close to popular perception as possible. Besides, coaches, other answers included parents, advertisements, and friends. Thus, most stakeholders in an athlete’s life were mentioned within the answers given. Taking into consideration the previous two questions it’s clear that there is a widely held belief that chocolate milk is good for performing as a better athlete. While the daily motivation (taste) to drink chocolate milk may be different from what’s advertised, chocolate milk has undoubtedly found its way into the public eye as a healthy beverage. One of the biggest differences is that chocolate milk has 14 more grams of sugar in comparison to regular milk. This is the biggest difference in terms of grams between the two products. Thus, in order to analyze how healthy chocolate milk is, I will discuss what the additional sugar means in terms of the health benefits of chocolate. First, while one can argue that it’s well known that sugar is not healthy, this isn’t always clear. In fact, Gary Taubes in his article, “Big Sugar’s Sweet Little Lies” wrote a powerful critique against the sugar industry, noting that a “winning” campaign was put together to convince people that sugar was not that bad for you (“Big Sugar’s Sweet Little Lies”). Since this campaign, Taubes noted a “surge in the chronic diseases increasingly linked to sugar” such as obesity (“Big Sugar’s Sweet Little Lies”). In his book, “The Case Against Sugar,” Taubes tears even more into the bad effects sugar can have on us. In the first chapter of his book, Taubes explains the link between sugar and diabetes, another serious disease (“The Case Against Sugar”, 3). One might argue that even though chocolate milk has more sugar than normal milk, there have been cited health benefits of chocolate by itself. For example, the island of Kuna is often seen as evidence for this because indigenous members “are said to drink home-grown chocolate exclusively and thus to enjoy excellent cardiovascular health” (Howe, Abstract). However, James Howe performed some compelling research that debunked this myth and found that the great health of the Kuna population could be due to a number of other factors outside of chocolate (Howe). In summary, it is tough to argue that the added sugar that comes with chocolate in chocolate milk is necessary and beneficial to one’s health. In fact, the research shows quite the opposite: that the sugar doesn’t help us as much as what is believed. Gary Taubes found that the Sugar Association crafted a brilliant campaign to bring Americans back to loving sugar (“Big Sugar’s Sweet Little Lies”). We can see a somewhat similar campaign happening with chocolate milk. While perhaps no one has ever lost their love for chocolate milk like the sugar industry faced leading up the 1970s, it goes without saying that a campaign has happened, spearheaded by athletes and the industry prompting people to believe that chocolate milk is a healthy beverage that is essential to athletic potential. Perhaps the reason chocolate milk was able to stick with consumers was the great taste reported in the interviews mentioned earlier. However, what ultimately provided a convenient rationalization for drinking the beverage were claims of recovery and muscle building. The findings of my research confirm for me what I initially learned from reading Taubes’ work: what seems to be public consensus is not always the truth. While chocolate milk has been something I’ve used and relied upon for a substantial portion of my life, I realize that I now will need to look at other alternatives. “Chocolate and Cardiovascular Health: The Kuna Case Reconsidered.” Gastronomica: The Journal of Food and Culture, vol. 12, no. 1, 2012, pp. 43–52., doi:10.1525/gfc.2012.12.1.43. Lunn, William R, et al. “Chocolate Milk and Endurance Exercise Recovery: Protein Balance, Glycogen, and Performance.” Medicine & Science in Sports & Exercise, vol. 44, 2012, pp. 682–691. TAUBES, GARY. CASE AGAINST SUGAR. PORTOBELLO BOOKS LTD, 2018. Taubes, Gary, and Cristin Kearns Couzens. “Big Sugar’s Sweet Little Lies.” Mother Jones, 25 June 2017, www.motherjones.com/environment/2012/10/sugar-industry-lies-campaign/. Chocolate has been around for thousands of years. It was first discovered by “…Spanish con-quistadores among the Aztec and Maya—is characterized by consumption mostly in solid form rather than liquid…” (Howe). Since then, chocolate has been consumed by virtually everyone with a sweet tooth. However, many people are not aware of the health benefits of chocolate. For example, Cacao, or Theobroma cacao, which are beans found in the tropical regions of Central and South America. They contain numerous health benefits when harvested organically, and taste rather delicious as well. In this blog, I want to give you, the reader, a historical background of Cacao, provide you with the health benefits, and finally share some tasty, easy recipes that you can try at home. The cacao bean, as seen above, grows on trees in the tropical parts Amazon Basin, Central, and South America. It was first discovered by “…the Maya Indians, an ancient people whose descendants still live in Central America, who first discovered the delights of cocoa as long ago as 600 AD” (Cadbury). That is a long time! As long as civilization has been around, so has the sweet, organic cacao plant. Christopher Columbus was said to have brought some back with him, after his fourth trip to the New World, but Europe was not quite ready to acknowledge its significance. Actually, “It was his fellow explorer, the Spanish Conquistador Don Hernán Cortés, who first realised their commercial value. He brought cocoa beans back to Spain in 1528 and very gradually, the custom of drinking the chocolate spread across Europe, reaching England in the 1650s” (Cadbury). Cacao, the ancient chocolate of the the world, had just started its long journey to modern popularity. As Cacao became more popular, it’s health benefits became more known. Snyder gives some interesting medical uses for chocolate in Colonial America: “Drinking chocolate was ascribed to have a variety of medical benefits. It was purported to promote weight gain to restore flesh to emaciated patients, especially to those who suffered from tuberculosis. It was used to stimulate the nervous systems of feeble patients, and also to calm patients who were over-stimulated such as soldiers fresh from battle. It could improve digestion, and was used to bind to medicines to make them more palatable to patients.” Even then, people were aware of the benefits of the organic cacao. James Howe writes an interesting scholarly article called, “Chocolate and Cardiovascular Health, The Kuna Case Reconsidered”, on medical research surrounding this ancient plant. He begins, “This research program encompasses every sort of laboratory and field investigation—studies of rats fed a chocolate diet; of the nutritional and chemical makeup of cacao; of the effects of ingesting chocolate on human platelet function, immune response, and blood flow to the extremities; and of chocolate consumption and health in samples drawn from such populations as diabetics, heart transplant recipients, German smokers, and elderly residents of Amsterdam.” The research project essentially followed and recored two groups of indigenous Panamanian people called the Kuna or Tule. One group lived in urban areas, and the other lived in the countryside. The results were shocking. He deducted, “In the mid-1990s, with funding from the Mars Company, Hollenberg set out to prove that what protected the Kuna from heart disease was chocolate. As the research has progressed since then, he and other researchers have zeroed in on a “flavanol” in chocolate called epicatechin, which, he says, may protect against diabetes and cancer as well as high blood pressure, strokes, and heart attacks.” So, are the Kuna people more healthy? Does drinking organic cacao help you live longer? Hollenberg seemed to think so. Howe writes, ‘”On his research Web site, he (Hollenberg) characterizes cocoa as “their primary, indeed sole drink,” and in another place he claims that “for most Kuna people, it is the only thing they drink from when they are weaned to the day they die. Overall, he says, the Kuna “probably have the most flavanoid-rich diet of any population,” all of it derived [from] their own farms: “The Kuna are exposed to more cocoa than anyone else on earth, and they are living longer.”‘ The bottom line? Drink more organic chocolate! Eating organic chocolate has been proven to be good for your overall health. Buffy Allen, who published a blog on the benefits of cacao on Begoodorganics, gives us five very helpful reasons why we should consume more cacao. First, it has “40 Times the Antioxidants of Blueberries.” Secondly, it contains the “Highest Plant-Based Source of Iron.” Thirdly, it is “Full of Magnesium for a Healthy Heart & Brain.” Fourthly, it has “More Calcium Than Cow’s Milk.” And lastly, it’s “A Natural Mood Elevator and Anti-Depressant.” Not only is cacao healthy, but its also a natural antidepressant! So, have I convinced you to eat cacao yet? Great! Here are some simple recipes you can try at home. “Add 1 Tbsp of raw cacao powder to a mug, pour in 1c of warmed plant-based milk, and add 1-2 tsp of natural organic unprocessed sweetener such as yacon syrup, agave syrup, coconut nectar, coconut sugar, or maple syrup. Or for a super easy version, try my Warming Hot Cacao Chocolate recipe. For a cold choccie milk, add 1 Tbsp of hot water to the raw cacao powder and sweetener first to dissolve, then add 1c of cold milk and a couple of ice cubes (or try this Chocolate Milk recipe). Note: some studies have shown that dairy products block the absorption of antioxidants and calcium in cacao, so save the cow’s milk for the calfs.” And that’s all you need to enjoy a delicious cup of hot, healthy, organic, cacao hot chocolate! I hope this blog has given you a good understanding of how cacao was first discovered, its ancient history, its transportation into Colonial America, it’s many health benefits, and finally some easy knowledge on how to prepare it for yourself. Theres only one more thing left to do: Eat more organic chocolate! http://www.iconinc.com.au, Icon.Inc -. “Discovering Chocolate.” Cadbury, http://www.cadbury.com.au/About-Chocolate/Discovering-Chocolate.aspx.